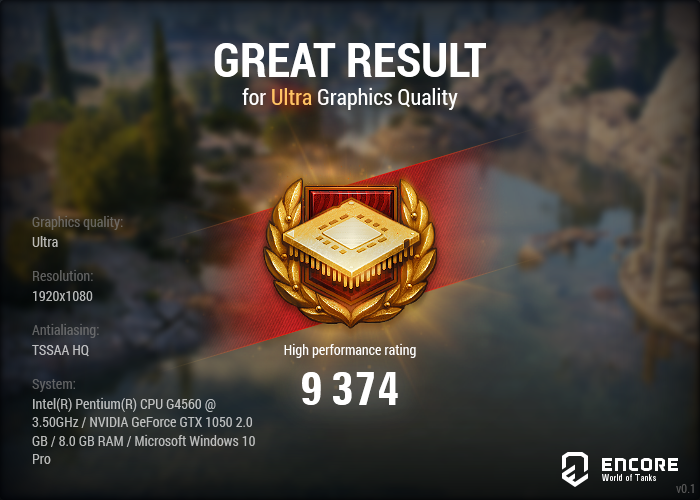 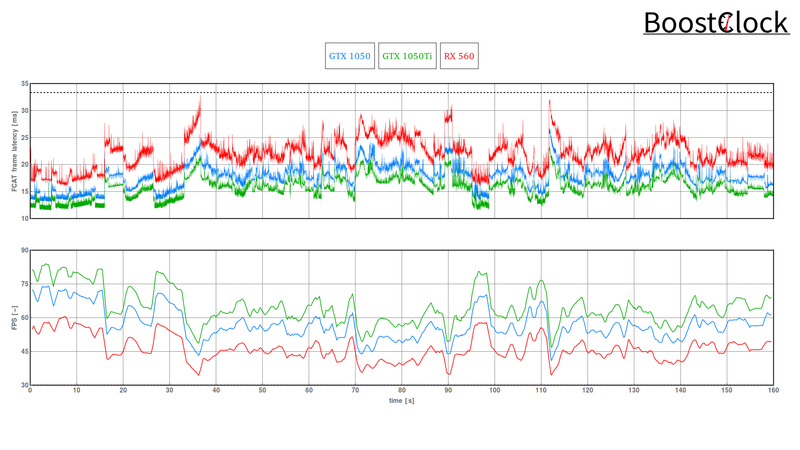 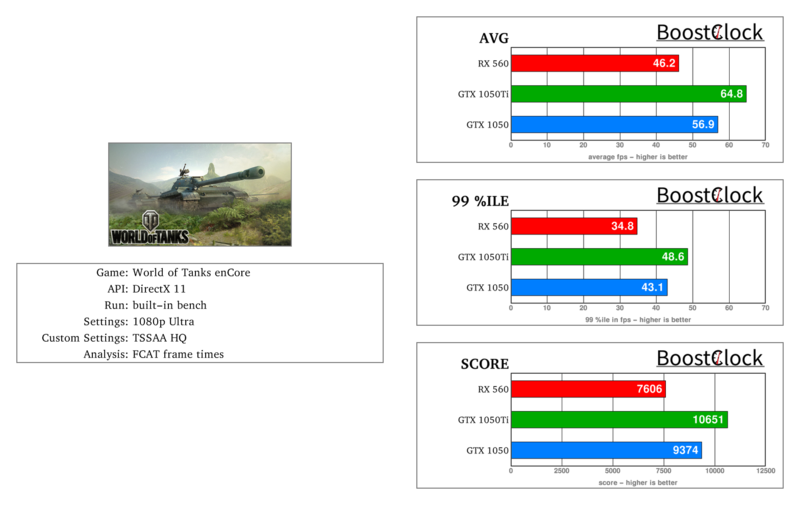 World of Tanks enCore demo helps you assess your PC's performance on the new, unreleased graphics engine for WoT. 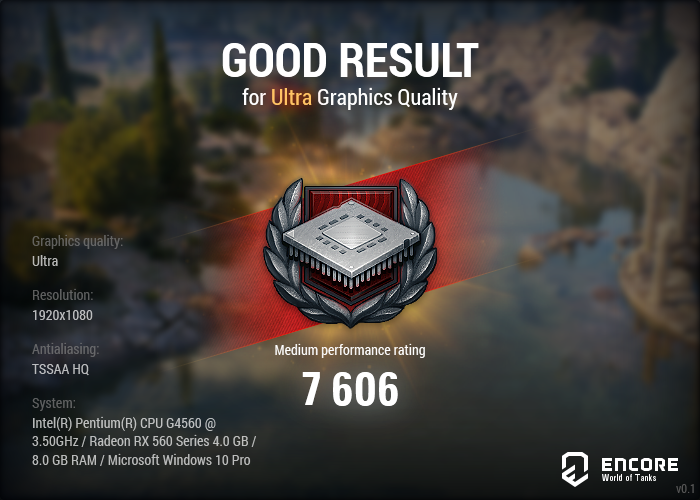 The engine ups the visual fidelity considerably. 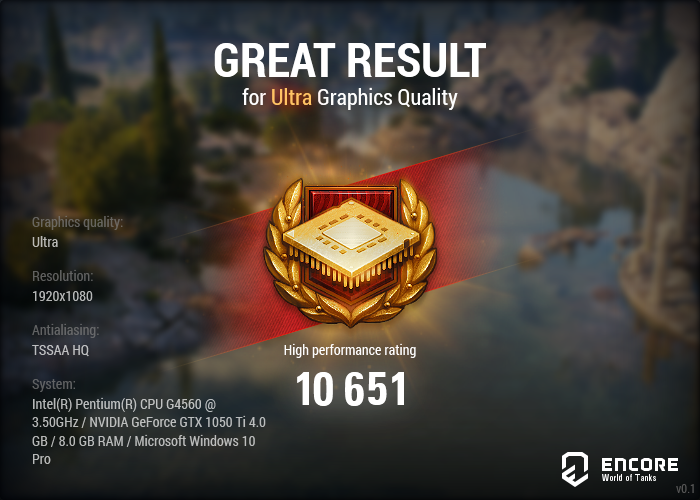 The game doesn't use that much VRAM so the 2 GB of the GTX 1050 can handle all the action without any hitch. 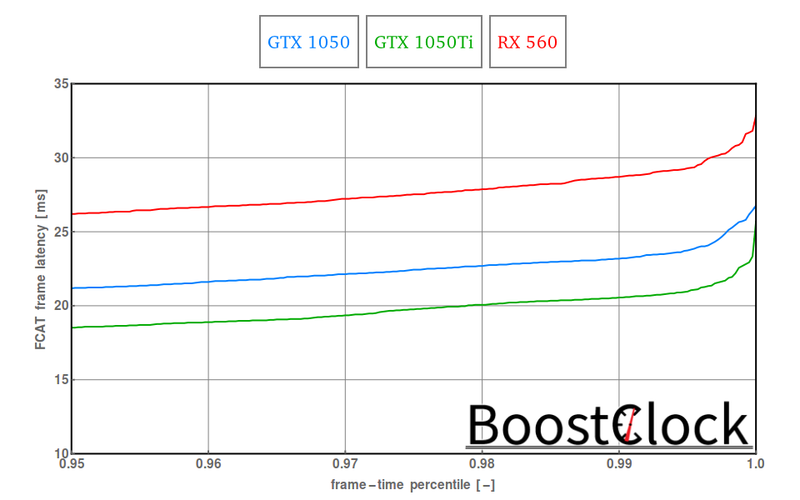 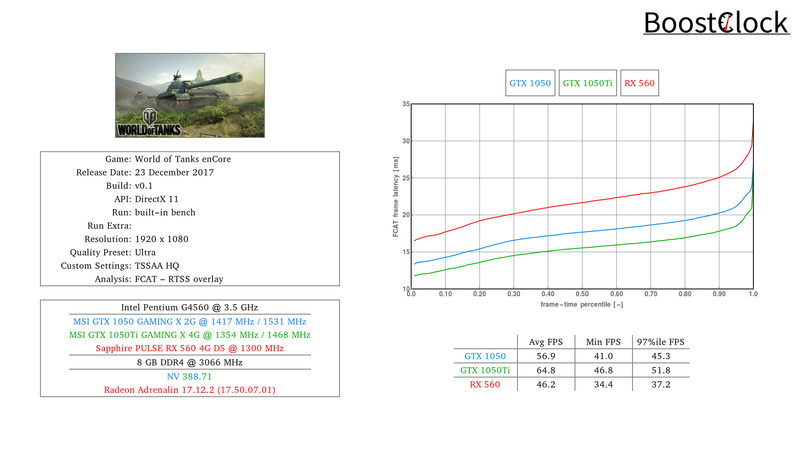 The GTX 1050 Ti can hit 10000+ score with the RX 560 being outpaced by the two GeForce cards with quite a margin.